Review: Should you find yourself in continental Europe, or the little islands surrounding it, you may be feeling a sense of the autumnal blues upon the release of this European Heartbreak LP. It's far from a morose and downcast listen though, with the choral of Annelotte de Graaf's voice a shining light to lead you through the trepidation of winter. On top of her two law degrees and work for the international war crimes tribunal, this latest opus provides her with a second album following Fading Lines of 2016, and expect spells of tatty pop intertwined with boops and breathy vocals that meet with subtle brass instrumentation, pianos and folky practices, all sung with a slight smug and smirk of discontent. Review: The pairing of Evangeline Ling and David Wrench might seem an unlikely pairing. Yet a chance encounter at a mutual friend's party just one week after Wrench moved to London had led to an experimental studio session that's been going on ever since. Speaking about the track, Audiobooks claim to have wrote and recorded this "Dance Your Life Away" in a couple of days, with Ling so excited that she travelled across the city in her pyjamas so as not to waste any time. The pair's groovy disco-pop is complimented wonderfully by the inimitable Andrew Weatherall's groovy remix on the flip - working his magic as always. 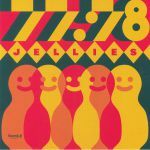 Review: The Australian collective continue to wave their freak flag high on this, the latest in a startlingly prolific series of records that have seen them rise to the higher echelons of garage/psych power. 'Quarters', however, is unique even for them - comprising four ten minute tracks, it takes a more free-form style, with loose jamming coalescing into a glorious wash of ethereal extrapolation. Not merely a band with a startling growth rate, King Gizzard here prove themselves one with plenty of sttings to their bow, and 'Quarters' will be greeted with good cheer by admirers of fans of Ty Segall and Follakzoid alike. Review: This upbeat, driving anthem is the first single from the forthcoming new album "Those The Brokes". B-listed on Radio 1, A-listed on Radio 2, forthcoming TV includes Popworld. Review: Introducing the dirty psychedelia rock of Seattle's Night Beats. At a glance you could be forgiven for mistaking them as a new formation of a swinging '60s inspired Arctic Monkeys. But, really, sometimes someone comes along that just does the old fashioned right, and after eight years of releasing a constant stream of music, Daniel Billingsley, the leading force behind Night Beats along with a host of other musicians who made the record possible can be held in a high regard. Let's say something in a spectrum somewhere between Eddy Current Suppression Ring, Tame Impala - Kasabian - and The Black Keys - contemporarily speaking of course.. With more mic techniques strewn across the album than a burgeoning sound student could bare to fathom, it's quality songwriting with subtle production graces to boot - and what more else can you say about a classic, rock, pysch, surf and funk album done well. Rock on man.